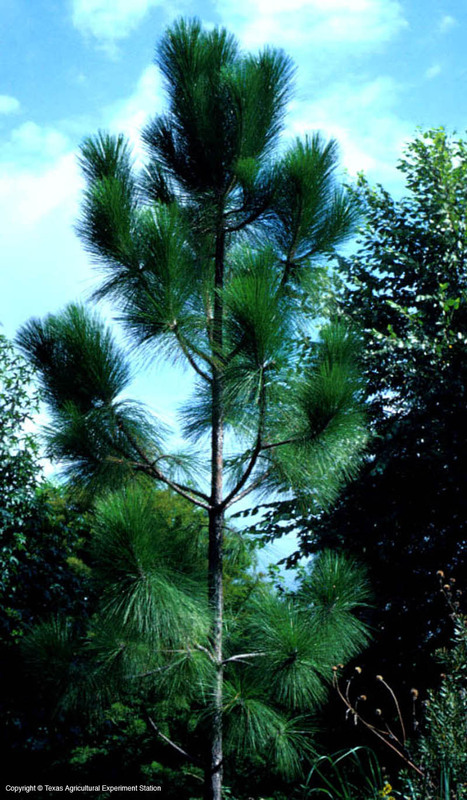 Longleaf pine is the aristocrat of southern pines, found in deep sands in east Texas. It is a fast-growing species that can reach 125 feet. 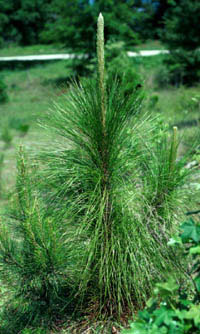 It is unique in having a "grassy" stage, in which seedlings produce dense, long needles but remain only a few inches high for 3 to 25 years as they make a deep taproot. 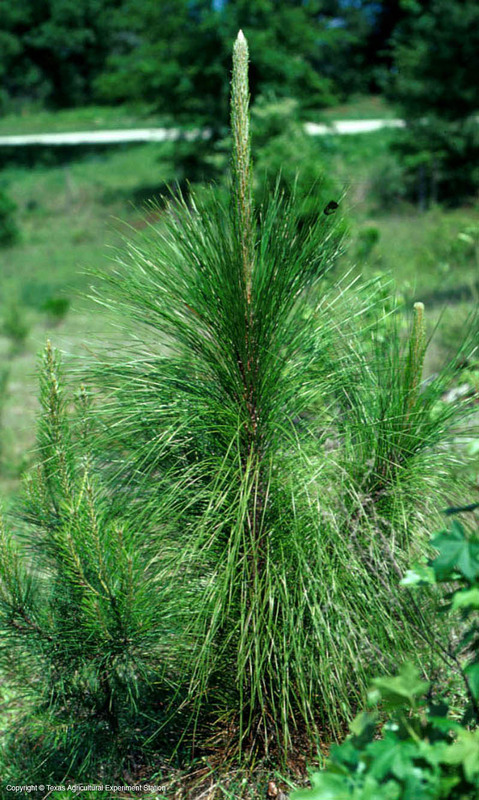 This enables them to be passed over by fire, which is an important element to the species' survival: it eliminates the hardwoods which will otherwise shade out the young trees. 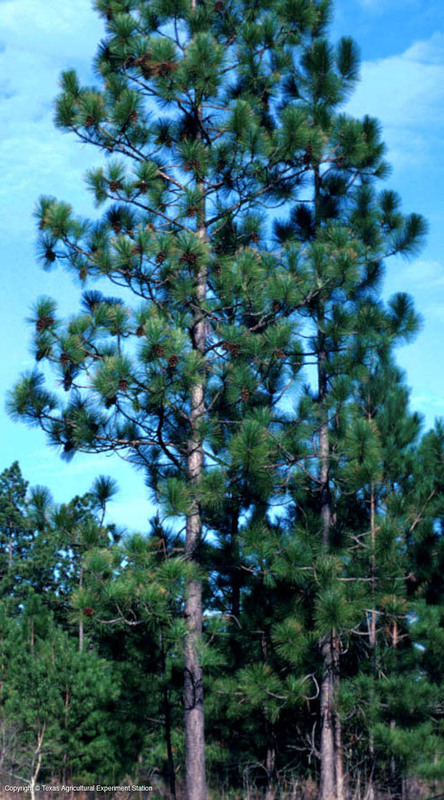 Longleaf pine has the longest needles (15-18 inches) and the largest cones (6-10 inches long) of all the Texas pines. It often grows in association with other trees like blackjack oak, sand post oak and sassafras that require high rainfall but excellent drainage.